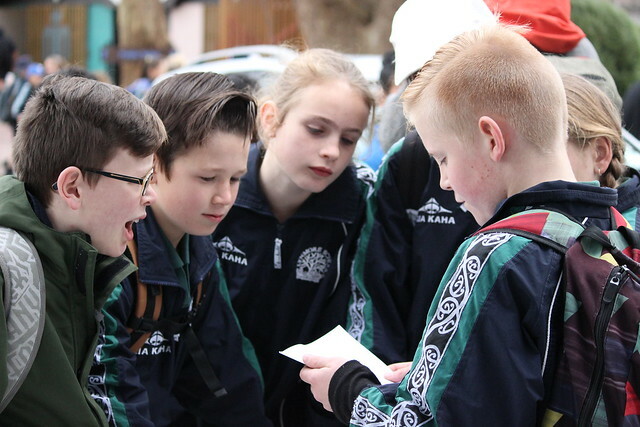 35 CBOP School teams gathered today at the Rotorua Village Green ready to take part in the first ever CBOP Inter-School Amazing Race event. The teams had various challenges and activities they had to complete including road blocks, memory and visual challenges, mathematical quizzes and the fastest team challenge on the monkey bars, just to name a few. Adults also got involved in all the action running along side their team but not able to give any tips or clues. Congratulations to all those who took part and a big thank you to all the schools, adult helpers, Sport BOP staff and Julie & Dale from Quest4Fun Ltd who delivered this awesome event.